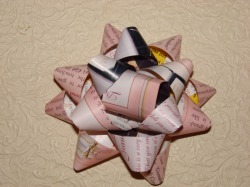 NEW Holiday Decorative Bow Course! - Learn How to Make Hair Bows! Learn How to Make Holiday Decorative Bows! Our all new decorative bow instructions are in a complete course - DVD mailed to your house and a downloadable manual emailed to you the evening of purchase. Save tons of money this holiday season by making your own beautiful Christmas ribbon bows at home.